Since acquiring its first ever Isuzu recovery truck in 2015, Nationwide Crash Repair Centres (NCRC) now has a total of 67 Isuzus in its current fleet. 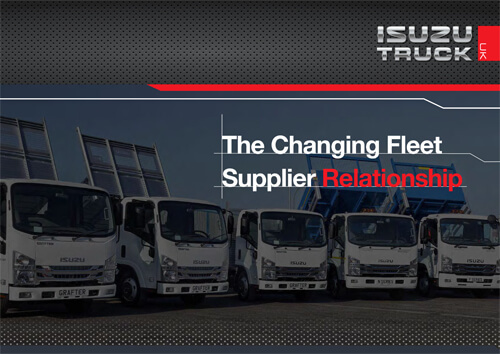 This rapid growth of the Isuzu representation within the organisation means that Isuzu accounts for over 60% of the current NCRC commercial vehicle fleet. The latest order for trucks from NCRC is for 10 new Isuzu Forward N75.190 rigids, which have been specified with a mix of flatbed tilt and slide and twin deck Dyson recovery bodies. These have now gone into service alongside the previous 57 Isuzus that are operating within the 115 strong NCRC network. “When we first tendered for new 7.5 tonne vehicles back in 2015 we needed a truck that gave us maximum payload at that GVW as well as being supported by a proven experienced national service backup. Since making the decision to switch to Isuzu, we have had no real issues with them at all to be honest, and the customer support that we have received from Isuzu, and their dealers, is absolutely excellent,” said Gerald Barham, Health and Safety Business Partner, Nationwide Crash Repair Centres. Supplied by Isuzu Truck dealer, Aquila Truck Services, all 10 new Isuzu Forward 7.5 tonne rigids have now gone into the NCRC fleet replacing 10 incumbent Ivecos, and the Isuzus are supported by a five-year repair and maintenance contract. Each new vehicle will cover approximately 50,000 miles per annum whilst operating within a 50 mile radius of its allocated repair centre. “The relationship between NCRC and ourselves is a classic example of how we build strong partnerships with our customers that prosper on the back of the reliable on-road performance of our trucks. The growth of Isuzu Truck’s representation within the NCRC fleet in such a short time certainly reflects the strength of the Isuzu 7.5t model, especially with the demanding conditions experienced within the recovery industry,” said Lee Tansley, Fleet Sales Manager, Isuzu Truck UK Ltd.